F This Movie! 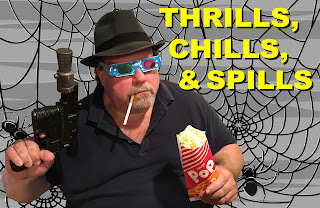 : Thrills, Chills, & Spills: DETECTIVE BUREAU 2-3: GO TO HELL, BASTARDS! Thrills, Chills, & Spills: DETECTIVE BUREAU 2-3: GO TO HELL, BASTARDS! The title isn’t the only great thing about this Nikkatsu Studios crime thriller. My recent infatuation with Japanese crime films of the early- to mid-1960s has led me down a long rabbit hole of Kino, Arrow, and Criterion Collection releases. I wisely invested in the Criterion Collection DVD set, “Nikkatsu Noir.” Thanks to some beloved friends, I received two Arrow “Nikkatsu Diamond Guys” box sets as a birthday present. Let me tell you, it was a much better gift than a coffee mug. I have plenty of coffee mugs; I can’t get enough of the work of Seijun Suzuki and Jô Shishido. The films that they made together are just so goddamned entertaining. Detective Bureau 2-3: Go To Hell, Bastards! represents something of a turning point in director Seijun Suzuki’s career. Tired of churning out the black and white B-pictures to which he was always assigned, Suzuki hoped his facility with directing action and his eye for color would earn him better projects. 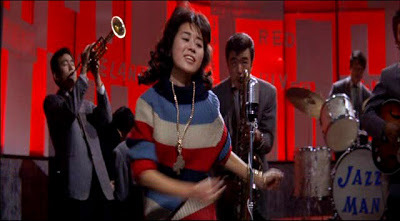 Suzuki directed four films in 1963; Detective Bureau 2-3… was the first and the second, Youth of the Beast, was the breakthrough film that earned him better projects at the studio. 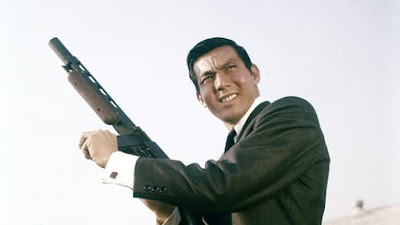 The Plot in Brief: After a daring robbery of guns and ammunition at a US Army base in Japan goes horribly wrong, the police capture the one yakuza suspect who wasn’t killed in the melee, Manabe (Tamio Kawaji). Private detective and lovable rogue Hideo Tajimi (Jô Shishido) convinces Police Inspector Kumagai (Nobuo Kaneko) to let him infiltrate one of the gangs. Using an assumed identity, Tajimi becomes part of the Hatano gang. How long can he remain undercover? Does the Hatano boss suspect the subterfuge? Who knew that Tajimi could also sing and dance a mean Charleston? In trying to appeal to the largest audience possible, Detective Bureau 2-3: Go To Hell, Bastards! contains a crazy mix of genres that don’t always work well together. 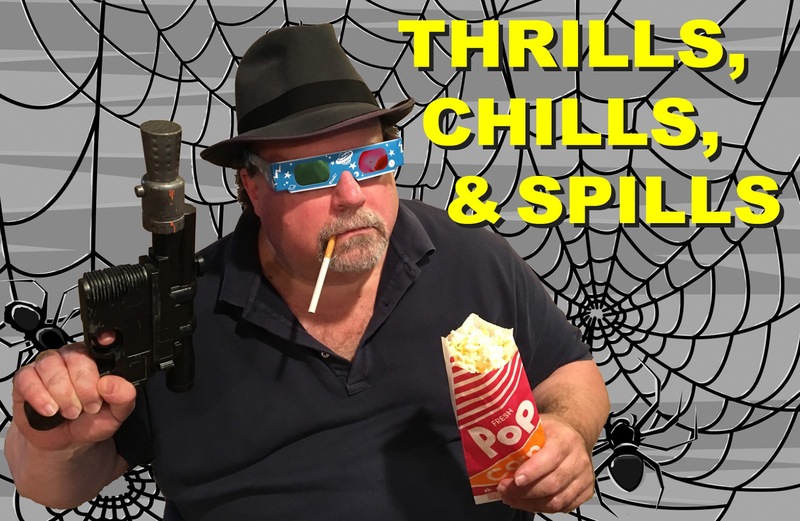 The film begins as a standard action film that morphs into a cool 1960s spy story, but loses its way as the screenwriters fold more and more styles and genres into the mix. The comic relief provided by Tajimi’s buffoonish partners falls flat (as Nikkatsu expert Tony Rayns notes in his interview included as a bonus feature.) Tajimi’s girlfriend Sally (Naomi Hoshi) is a singer appearing in a Hatano-run nightclub, and sings songs with lyrics about the narrative of the film itself. At one point she coaxes him up onstage and they do a little song and dance together. It’s a weird jump into post-modernism that the film almost doesn’t survive. It’s as if, during the next installment of Mission: Impossible, Tom Cruise wandered into a nightclub featuring a torch singer crooning about how cool Ethan Hunt is and what he might do next. Action set pieces are clearly the material with which director Suzuki is most comfortable, and the two big shoot-outs that bracket the film are its highlights. In the opening sequence, one of the gangs drives a Pepsi-Cola truck between the two warring yakuza gangs, and the audience is treated to exploding bottles and the truck bleeding carbonated brown goo. In the climactic sequence, we have what appear to be ten dozen gang members all firing at each other and running at each other with samurai swords. This period of Suzuki’s career was clearly an inspiration for the early films of John Woo. Given the similarities, I wondered if it were possible that someone at Nikkatsu had seen the first James Bond film, Dr. No, which was released in October of 1962. So many of the thematic elements in Detective Bureau 2-3 are Bond-like: the suave anti-heroand his cool car, the inscrutable villain, the bevy of beautiful, available women, the big action set pieces—indeed, the film’s entire style and tone. Given the huge number of films Nikkatsu studios released each year, they must have been cranking them out pretty fast; yet Detective Bureau 2-3 was released only three months after Dr. No, in January of 1963. Maybe all of these elements were just floating in the cinematic zeitgeist in the early 1960s. Perhaps both Dr. No and Detective Bureau 2-3 draw upon the same inspiration of film noir heroes and early crime caper films. Or maybe the screenwriters were fans of the Ian Fleming books. 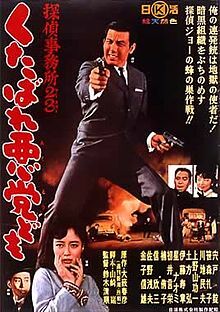 I’m guessing many readers are fans of the James Bond films; if so, check out Seijun Suzuki’s crime films from this era (era) to see some favorite and familiar tropes refracted through a different cultural lens. Jo Shishido is an actor I have learned to appreciate over the last year. Although I first became aware of him years ago through Suzuki's Youth of the Beast, it was Massacre Gun last summer and the recent watch of A Colt is my Passport that led me to recognize the quality of his performances. He especially plays a stoic character well.